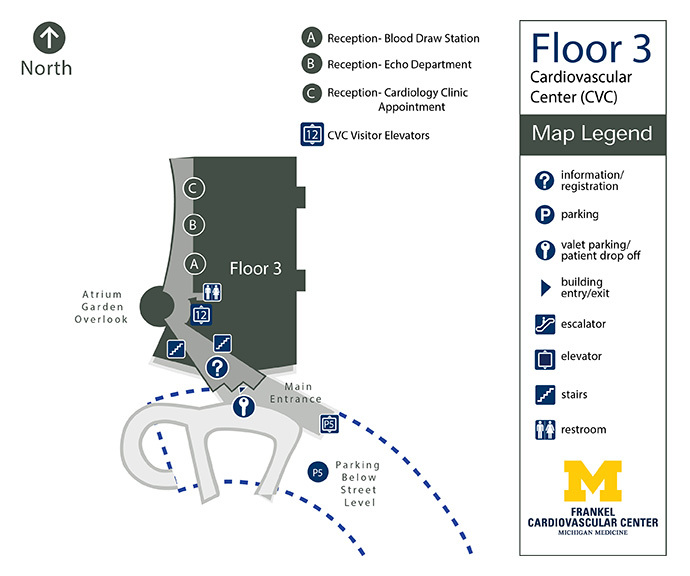 This is the main entrance level for the Cardiovascular Center, where most people will enter from the corner of Ann and Observatory Streets. The first thing visitors encounter in the main lobby is the welcome desk, with friendly staff who can help give directions and answer questions from 5:30 a.m. to midnight Monday through Friday, and from 8 a.m. to 9 p.m. on Saturday and Sunday. The valet parking office is just inside the door.